We are glad to have you visit our website and thank you for your interest in our company. The protection of the data and the security of users’ computing equipment on our site are of the utmost importance to us. We would like to inform you about the personal data that we collect during your visit to our website and what these data are used for. Personal data are all the information that refers to an identified or identifiable natural person, such as name, age, address, telephone number, date of birth, email address, IP address, or usage patterns. Information that we cannot link to your person, such as anonymized data, is not regarded as personal data. The processing of personal data (for example, in processes involving gathering, sourcing, use, storage or transmission) always requires legal grounds or the consent of the data subject. Personal data that have been submitted to data processing are eliminated once the purpose of these processes has been completed and there are no legal storage obligations. 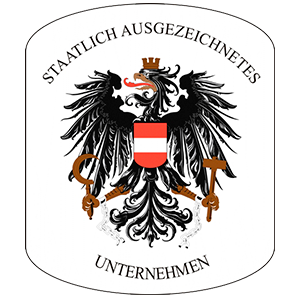 On our website, we use data only in accordance with the Austrian Personal Data Protection Act of 2000 (DSG 2000, Datenschutzgesetzes 2000) or the General Data Protection Regulations (GDPR). You can obtain more detailed information about the DSG 2000 on the Data Protection Authority’s website or in the Comprehensive Legislation for Personal Data Protection Act of 2000, as well as about the GDPR here: Information about the GDPR. Consent for the processing of personal data, as well as for the sending of information messages, may be withdrawn at any time. Such withdrawal may be notified in writing to the email address provided in the legal notice, and the data subject’s name, surname(s) and email address must be provided. If a consent granted for personal data processing or for the transmission of information messages is withdrawn and the profile is also deleted, all personal data are deleted irrevocably if there is no legal requirement to continue to process them. We provide information about the data that we store about a specific person if requested to do so in writing at the email address provided in the legal notice. With a view to avoiding undue use, if you wish to have information about your personal data, please request this in the appropriate way by submitting a copy of your current identification document, together with a photograph. This is necessary to ensure that unauthorised individuals cannot access third-party data with the pretext of a request for information, thus stealing their identity. If you see that certain data have not been stored properly or are wrong, following a written request by you sent to the email address stated in the legal notice, we will correct these data provided that this is necessary for you to be able to continue to (properly) use the website or the services rendered to you. If personal data are being stored on the basis of a consent and there is no other legal reason or obligation for this (for example, a legal procedure), we will eliminate the data immediately following the withdrawal of consent. This page uses SSL or TLS encryption for security reasons and in order to safeguard the transmission of confidential content, for example orders and queries that you send to us as, the website operators. You can tell that a connection is encrypted because the URL on the browser’s address bar changes from “http://” to “https://” and the padlock symbol is displayed next to it. If SSL or TLS encryption is activated, the data transmitted to us cannot be read by third parties. Whenever our website is accessed, and whenever a file on our web server is queried, certain technical data are stored. However, this type of storage is only performed by including the data in the form of anonymised data (dissociated from personal identifiers), so that the person cannot be identified with these data. Such data are stored to guarantee the security of our pages and to detect and pursue possible attacks on or the undue use of our website. Our website uses “cookies” (small files installed in the browser) and similar technologies with a view to offering its services and helping to collect data. Cookies permit, among other things, the storage of preferences and settings, facilitating registration, offering advertising specific to user interests, fighting fraud and analysing how our website services and online services work. The information contained in a cookie is established through the web server and is subsequently stored in the respective PC when it visits our website. The server assigns a duration to these cookies, whereby they are automatically deleted once they have expired in the terminal. A browser can also be configured to delete cookies when it is closed. Cookies are needed to be able to classify visits to our web sites unequivocally and thus be able to use certain functionalities, such as logging on. The browser can be configured to prevent cookie storage if you do not want them to be installed in your terminal. This website uses the Google Analytics web analysis service functions. The provider is Google Inc., 1600 Amphitheatre Parkway Mountain View, CA 94043, United States. Google Analytics uses “cookies”. They are text files that are stored on your computer and they make it possible to analyse how you use the website. As a rule, the information generated by cookies about your use of this website is transferred to a Google server located in the USA and stored there. We have activated the masking function of the IP address on this website. Thanks to this, Google truncates your IP address in European Union Member States or in other States that have subscribed to the European Economic Space Agreement before this information is transmitted to the USA. Only in exceptional cases will the complete IP address be transferred to a Google server in the United States and truncated there. Google uses this information to evaluate your use of the website, produce reports about your activities and render other services related to the use of the website and of the Internet on request by the site’s operator. The IP address transmitted by your browser within the framework of Google Analytics is not assigned to other Google data. This page uses the Google Maps cartography service through an API. The provider is Google Inc., 1600 Amphitheatre Parkway Mountain View, CA 94043, United States. Your IP address must be stored to enable you to use Google Maps functions. As a rule, this information is transferred to a Google server in the USA, where it is stored. The provider of this website does not have sufficient influence over this data transfer. We use Google Maps to present our online offers attractively and so that users can locate the places that we indicate on our website easily. It is a legitimate interest covered by Article 6, Section 1 f) GDPR. If you send us queries via the contact form, we will store your data contained on the form, including your contact data provided on it, for the purpose of processing your query and to answer any subsequent questions. We will not transmit these data to third parties without your consent. The data in the contact form are processed exclusively with your consent (Article 6 Section 1, Letter a) GDPR. You can withdraw your consent at any time. For this purpose, you need only send us an informal notice by email. This withdrawal will not affect the legality of previous data processing processes. The data that you provided on the contact form will remain with us until you request that they be deleted, withdraw your consent for storage or if the purpose for which they were collected ceases to exist (for example, after your query has been processed). Legal obligations, more specifically mandatory storage terms, will not be affected. We use, among other applications, the Vimeo provider to deliver videos. Vimeo is operated by Vimeo, LLC, headquartered at 555 West 18th Street, New York, New York 10011. If you visit one of our websites that has this function, such as the “Media” page, a link is established with the Vimeo servers to play the video. This tells the Vimeo servers what pages of our website you have visited. If you logged on as a Vimeo member in this process, Vimeo will assign this information to your personal user account. When you use a function, such as clicking a button to play a video, this information is also assigned to your user account. This assignment can be avoided by logging out of your Vimeo user account before using our Website and deleting Vimeo cookies. For more information about data processing and privacy by Vimeo, you’ll find here: Privacy by Vimeo.